For centuries, the world’s finest luxury hoteliers have mastered one simple practice: providing special care to the most minute guest detail with extraordinary excellence. The epicenter of this relentless commitment to providing the highest levels of quality and, in turn, luxury, is the Concierge desk. 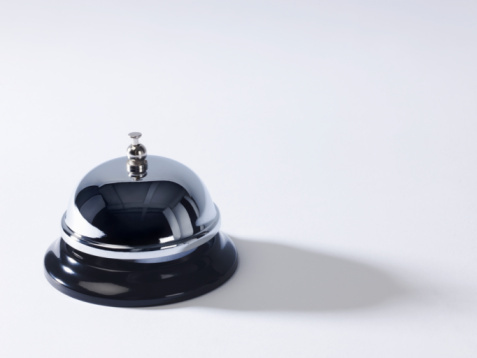 The true art of the Concierge lies in the ability to think small while performing large tasks – an instinctive capability to anticipate and account for small needs and to ensure that simple requests are handled with speed, discretion, and good taste. This uniquely honed skill of intuition for Fashion retailers has historically been the exclusive practice of the store Sales Associate, whose specialty is the ability to predict customer wants and to deliver a flawless boutique encounter for shoppers. In today’s economic climate, however, with reductions in staff becoming the norm and increased customer expectations of efficiency, Fashion marketers are faced with a challenge: how best to get more (with less) from the in-store experience without sacrificing the luxuriousness that defines the brand. The mobile opportunity for Fashion marketers should be strategically considered as far more than simply a branded content showplace, a lifestyle purveyance platform, or another siloed commerce marketplace. True, a mobile plan of action can consist of all of the aforementioned elements. However, the positive implications of mobile solutions, in regards to enhancing the in-boutique clienteling efforts of Fashion retailers – serving as a Mobile Concierge capable of expert handling of the most exact details – must be a consideration in any truly holistic mobile strategy. Mobile’s diverse functionality makes for a distinct, powerful marketing tool. Whether it is providing a vehicle to reward shoppers for “checking in” to a boutique through a location-based utility, or pushing targeted promotions to customers during their visit, it drives the shopper to the in-store encounter. And now with more stores featuring scanning capabilities to render additional product details and branded content, or encouraging “social shopping” via social networks to glean insight from fashionistas in one’s own sphere of influence, the inherent Concierge functions of mobile applications provide simultaneous luxury and utility when consumer demand for effectiveness is at its pinnacle. The St. Regis E-Butler iPhone Application is, in its most obvious form, the quintessential example of the Mobile Concierge. Equipped with all the affluent trappings the venerable hotel brand is famous for, the E-Butler app provides guests with exclusively curated, citywide recommendations from some of New York’s most celebrated personalities. Other features include a Concierge consultation regarding nearby attractions and services, as well as direct access to request Butler services during the stay. To provide a more industry-relevant example of a brand leveraging Mobile Concierge effectively, we look to the LVMH beauty storefront that Sephora has developed, the “Sephora to Go” app for both iPhone and iPad. Sephora’s presentation offers an in-app storefront for mobile purchasing, as well as video tutorial content, beauty advice, a history of past purchases, and a shopping list. However, the 2D bar code scanning functionality, designed to deliver customer reviews as well as targeted product promotions at multiple touch points throughout the store, provides directional convenience for shoppers without the need to engage a store associate. This method adequately integrates the Immediacy Variable into the Sephora mobile success formula of availability + efficiency to bring superiority to shoppers’ experiences. The essence of Mobile 2.0 is functional utility. Successful mobile approaches, for Fashion marketers and store strategists alike, must incorporate elements of Mobile Concierge services to ensure an intuitive response to the simple tasks associated with any in-boutique encounter.